Maintaining its mission of philanthropy, Kiehl’s Since 1851, the venerable New York-based purveyor of fine quality skin and hair care, continues to expand its LifeRide motorcycle project and will ride through Los Angeles this September in honor of Ovarian Cancer Awareness Month to support the Ovarian Cancer Research Fund Alliance. The Ovarian Cancer Research Fund Alliance (OCRFA) is the largest global organization dedicated to advancing private ovarian cancer research, advocating for increased federal research and awareness funding and further policies that support women and their families before, during and after a diagnosis. The OCRFA unites the ovarian cancer community as one strong voice, propelling the ovarian cancer field forward at an accelerated pace – exactly what is needed at a critical time when specific discoveries are rapidly increasing, but federal research dollars are not keeping pace. The ride concludes with a finale at the Kiehl’s store in Santa Monica, and the official announcement of Kiehl’s donation of $25,000 to OCRFA, hosted by Kiehl’s President Chris Salgardo and OCRFA President & CEO Audra Moran. Guests will be treated to a live DJ, Tito’s Handmade Vodka open bar, and other refreshments from FOODLAB. 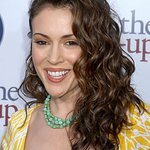 Expected to take part are Kiehl’s President Chris Salgardo, OCRFA President and CEO Audra Moran, additional LifeRiders and special guests including Alyssa Milano, Scott Patterson, Gilles Marini, Grant Reynolds, Luke Wessman, Stacie B. London, and more.